The Accident was published just over two weeks ago and I feel like my feet haven’t touched the ground since. It really has been incredible, reading so many positive reviews from book bloggers and watching as a buzz built up on Twitter as readers started to recommend my book to each other. There have been moments where I’ve felt like The Accident has taken on a life of it’s own and, even if I wanted to, I couldn’t stop the momentum that has built. 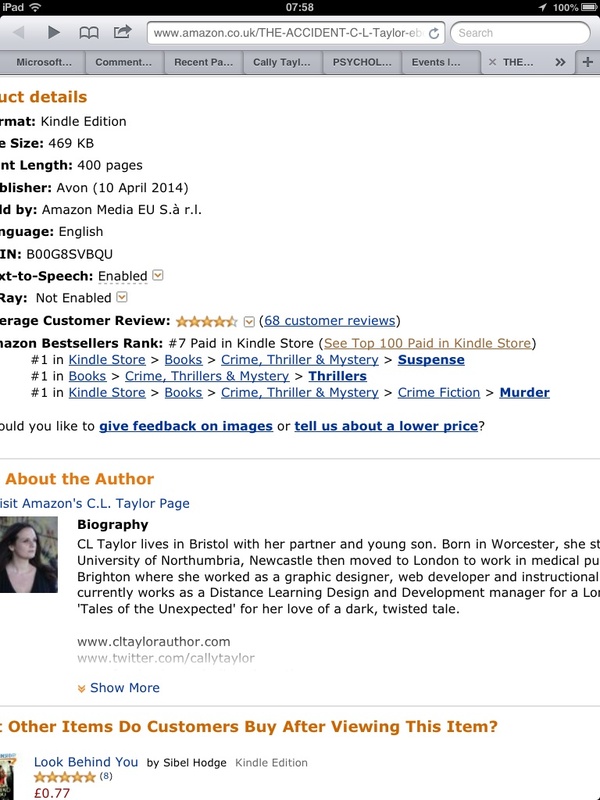 Today I woke up to find that it was number 7 in the top 100 Kindle chart. Number 7?! I probably use the phrase ‘it melted my head’ too much but it did. 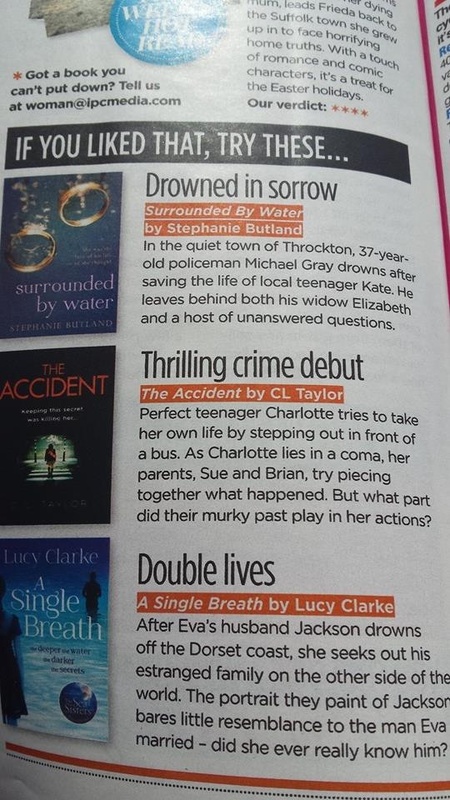 The Accident was also number 1 in the Murder, Suspense and Thriller charts and number 114 in the paperback chart. It’s slipped down to number 10 at the time of writing this and I really need to stop checking. I’m developing a really rather unhealthy obsession with Amazon! 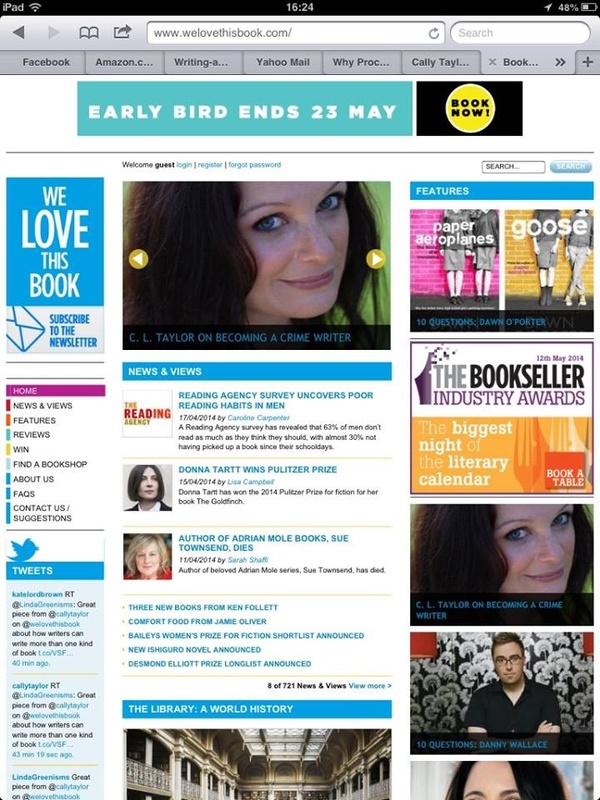 And some fabulous websites including Female First, Mslexia and We Love This Book have included interviews and articles I’ve done. There’s a list of them on the ‘Interviews and Articles‘ page of my website. A couple of days before publication I went to the Caledonian Club in London for The Lady magazine literary luncheon where I was interviewed by Annabel Giles. I was incredibly nervous as I’ve never been interviewed by anyone before but the lovely ladies at my table, and Annabel herself, completely put me at my ease. 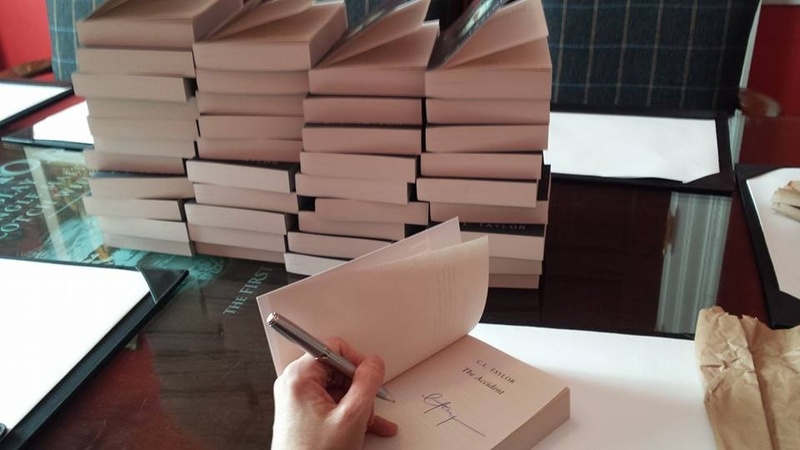 Signing 100 copies of The Accident to go in the goody bags for the ladies who attended the luncheon. 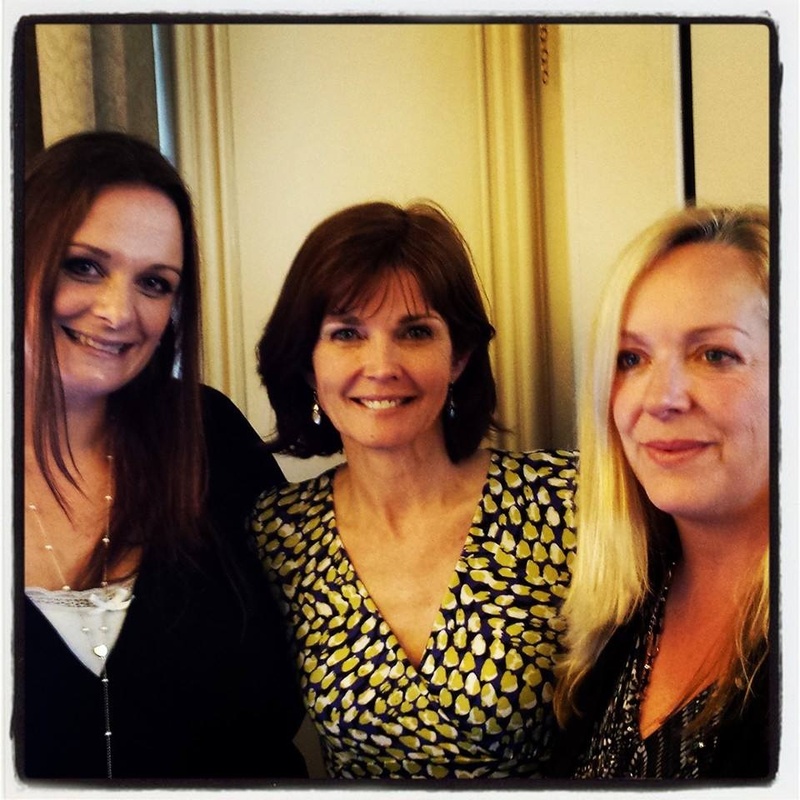 With Annabel Giles and author Isabel Wolff. It’s about four female friends, each with a dark secret, who go to a retreat in Nepal. Instead of finding peace and relaxation they find themselves in a deadly situation where they’re forced to turn against each other in order to survive. I’d been struggling with the rewrite, partly because I’ve been distracted by all the excitement surrounding The Accident but also because something wasn’t quite right with the plot but I couldn’t work out what. It suddenly came to me as I was falling asleep last night – I knew exactly what was wrong – and when my partner took our son to his swimming lesson this morning I set about fixing it. I’ve still got a good 40,000 words to work my way through and rewrite, including five chapters at the end of the book that I have to write from scratch, so I’m going to be incredibly busy between now and July but I wouldn’t have it any other way. An idea for a third psychological thriller is itching to be written but it’s just going to have to sit tight for now. Huge, HUGE thanks to everyone who’s taken a chance on The Accident and bought a copy and tweeted, Facebooked or blogged about it or recommended it to a friend. I can’t thank you enough. This entry was posted in Uncategorized and tagged Amazon bestseller, British psychological thriller, Debut Crime Novel, making the Kindle top 10, promoting a novel, promoting a psychological thriller, psychological suspense novel. Bookmark the permalink. wow it does sound exciting, i am looking forward to reading it very soon. Thanks Autumn! It’s been amazingly exciting.